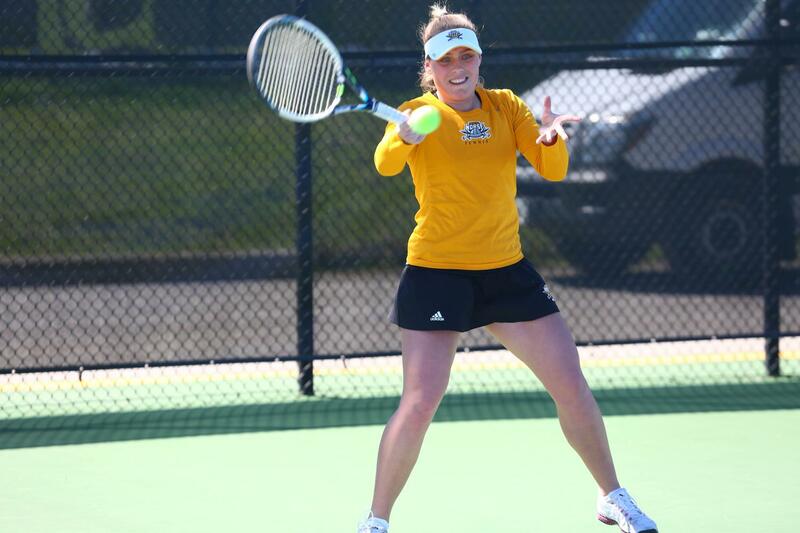 The NKU women’s tennis team opened the new season with a 4-0 loss to the Kentucky Wildcats, who are ranked no. 21. Despite the stumble, excitement around the team may have never been higher leading into the Spring. Brian Nester, the head coach, attributed this excitement both the returning players and fresh faces. The 2017 season was highlighted by Klara Skopac, who received Horizon League second-team and all-academic team honors. But Sunjic, a Croatian native, burst onto the scene with a 13-3 record and topped the list of the All-Horizon League first-team honors. She also became the first Norse in the Division I era to become Horizon League and Freshman Player of the Year, which earned her an invitation to the Oracle ITA Masters in September. Sunjic was nearly flawless in her Horizon League freshman singles campaign; she scored 8-1 against every team’s top player and strung together an impressive nine-match winning streak leading into the final match of the season. She also played on NKU’s top doubles team with Shopac, posting a 7-5 duo record. 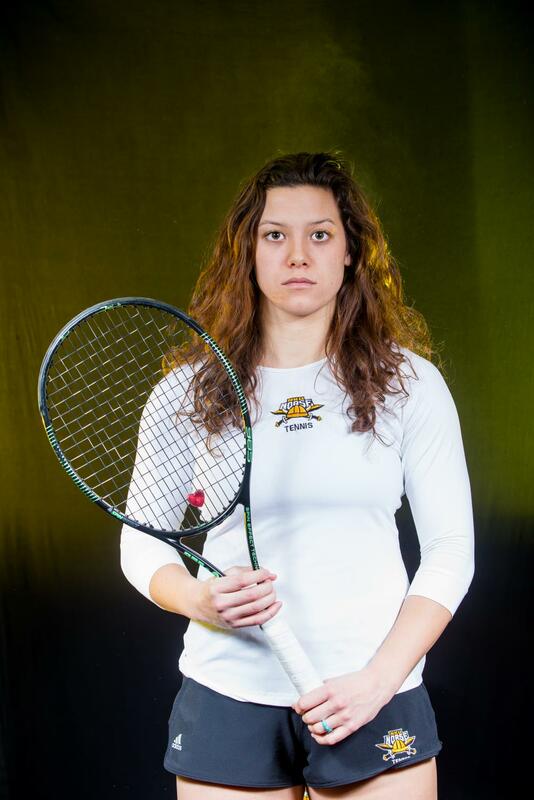 Margita Sunjic was named Horizon League tennis player of the year and Horizon League freshman of the year. After narrowly missing the Horizon League conference tournament and finishing 6-12 overall last season, the Norse received their highest poll ranking since moving to Division I in 2016 and is projected to finish fifth behind UIC, Youngstown State, Cleveland State and Wright State. Detroit Mercy, Oakland, Milwaukee, IUPUI and Green Bay round out the rest of the conference behind the Norse. Apart from Sunjic, there are two returners from last season. Senior Sydney Power finished her junior year 2-10 overall with critical wins against Valparaiso and Youngstown State. Power’s also paired up with Sierra Nellessen in the no. 2 doubles spot, going 6-2. Sophomore Katja Dijanezevic played primarily in the no. 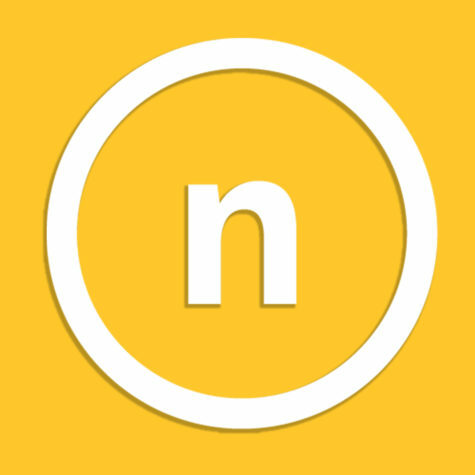 3 or no. 4 spot and finished her freshman campaign at 6-12. Dijanezevic also compiled a 4-10 doubles record. This season’s newcomers include two freshmen and two transfers: Hannah Watton, Maria Koo, Alyssa Defiglio and Taylor Culbertson. From Kent, England Watton had a shaky fall start by dropping two 6-2 sets in the no. 3 singles flight at the Western and Southern Collegiate invitational. But, she finished fourth in Flight 4 in the Wright State University invitational, respectively. Koo hails from Lima, Peru and had a successful fall by picking up a pair of wins in the main singles draw against UT-Martin’s Jule Streif and Ball State’s Rebecca Herrington at the ITA Ohio Valley Regional. Koo also won the no.2 singles draw at the Western and Southern Collegiate Invitational by defeating four competitors. Defiglio transferred from Thomas More College where she played in the no.1 singles spot. Shesaw early fall success at the WSU invitational by picking up a pair of wins with Watton in Flight 3 doubles action. As a four-time team MVP, First Team All-Central Buckeye Conference all four years and CBC player of the year in 2013 and 2014 at Tecumseh Prep, Culbertson transferred from Wright State University where she won 12 matches in singles and 20 matches in doubles during the 2016-2017 campaign. She was also named Horizon Doubles Team of the week with Tori Turner. Nester has known Culbertson for a number of years since she grew up in the Ohio Valley as a junior player. Though she originally chose Wright State over NKU in the early stages, the transition has been seamless. She added that the team has played their hardest, and she believes the future of the upcoming season is bright. In addition to Horizon League foes, the Norse will do battle against the University of Kentucky, Louisville, Arkansas State, Belmont, Xavier, Valparaiso, Cincinnati and Dayton. The Norse spent the first few weeks of the season dropping non-conference road games to Kentucky, Louisville and Arkansas State. The Norse picked up their first win of the season against the Belmont Bruins in their home opener Friday at the Five Seasons Sports Club in Crestview Hills, Kentucky. They will look ahead to their match with Xavier on March 3.